When it comes to organizing teenagers, I know it can be a very tough project to take on but it does not have to be! In my 15 years in business I have always enjoyed working with teenagers in organizing their bedrooms and living spaces. Most of the time they are looking for guidance and once we start the process they are engaged and we work together to create the space and environment which they love and where they can be productive in their schoolwork. Here are some tips and suggestions to help guide teenagers with organization. 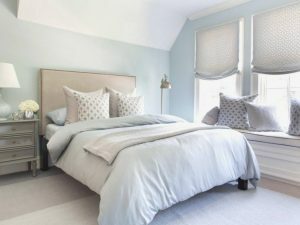 One of the first places I start with is their bedrooms which I know can be overwhelming! I know that clothes are a big issue with teenagers and the clothes cover most of the floor so we normally start with deciding what clothes are dirty and what is considered clean. I ask them do they not like to hang up clothes or is folding a better option for them? Or is there no space to hang their clothes or no shelving units in the closet? We talk about options or ideas and ways to add additional hanging in the closet or maybe move the hanging rods so it is easier to access. Another option is to add more shelves instead of hanging space because they prefer to fold more than hang their clothes. You can also consider adding a dresser or an armoire to their room for clothes or other items that do not fit in the closet. Many times when I help teenagers in their rooms they still have memorabilia items and things hanging on their walls from when they were 7 years old. We end up removing many of the items from the room and put them in memorabilia boxes or toss them away if they have no direct memory or good feeling about the item. Most of the time they are so happy to have additional room on their shelves or bookcases for things that matter to them now! And one of the most important things that happen when we organize, we find money which is a great incentive for them to organize their rooms! In addition, there are many times they have a desk in the room which is rarely used. I then ask the question is the desk truly used the way it is supposed to be or is it a place to dump clothes, paperwork and sports equipment? We go through the items on the desk and purge, sort and decide if we are keeping the desk and making it functional. Some teenagers like to do homework or school projects on the desk so we keep it but we purge the items that are not serving a direct purpose. Electronics is a big part of a teenagers life so having space for chargers and laptop usage is a must. So create space to have these items easily accessible so the desk becomes a functional part of their room. I know that once you organize your teenagers room it may not stay as neat and organized for long but by removing items that are truly not used or have a purpose it will be easier to maintain and they will love their bedrooms! If you have any questions about organizing a teenagers space, please contact me at www.organizedtoperfection.com and I would be happy to discuss with you in further detail. Thank you and I hope you have a peaceful start of 2017! I cannot believe that we are talking about the kids going back to school already! Summer seemed to go by too fast and I am sure the kids are excited to see all of their friends again. Going to a new school or having increased homework this year can be hard to get adjusted to and starting off the school year on a good note is essential! Here are 3 organizing tips I feel are important to work with your kids to have a successful school year. Number one on my list is always to ASK YOUR KIDS what would help them the most when it comes to organizing and getting their homework done in a timely manner. When I work with my client’s children with their school organization I always ask them what would help them the most to be productive with their schoolwork. I have worked with kids from 2nd grade up to seniors in high school and it is always best to find out what works best for them. It may be creating a homework station, or the right organizing school supplies for them or a homework schedule and routine that they can follow. And if the kids do not know what would help them, ask them specific questions about school to see where they may need help the most. The next important organizing tip for back to school is to have all of the things they need for school READY THE NIGHT BEFORE. I know you have heard this before and this may not work for every parent but at least have your kids backpack and school clothes ready for them so you are not running around trying to find things in the morning and trying to get out the door. Some parents are night owls and they prefer to do this later on at night and others work best if they get up earlier in the morning to get things in order. Once you get in a routine of what your child needs each day, it should become easier with time. Also start working with your children so they can start taking responsibility of what they need for school so they don’t feel stressed about not having something for class. The last important tip is to find a good HOMEWORK STATION for your kids. As your kids get older each school year of course will increase with difficulty and homework projects and finding the best place for your kids to concentrate on their studies is very important. Again ask your kids or observe if they work better at the kitchen table in the heart of the home or a quiet place like their bedroom or another room in the home. Also it depends on the age of the kids but create an area where they have easy access to all of their school supplies which includes paper, pens/pencils/markers, calculator, laptops, printers, etc. 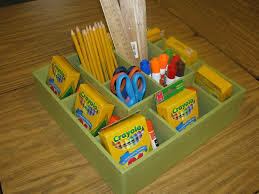 There are some great school supply organizing products at retail stores like OfficeMax, Container Store and Staples. Getting your children ready to start their school year off on the right foot with organization is a big step in helping them to be successful in school and as an adult. If you feel your kids need help with organization at the beginning of the year or later on in the school year, please contact me and I would be happy to help them to keep them on the right track in school. I hope your kids have an amazing and successful school year!